Those good ol’ boys from The Dukes of Hazzard kept many of us entertained on Friday nights for seven seasons. Fightin’ the system ain’t easy, but the Duke boys made it look like child’s play. No matter how much grief Sheriff Coltrane and Boss Hogg gave them, the Dukes always seemed to come out a step ahead. Today, the show still has a loyal following and seems as popular as ever. Not bad for a show that wasn’t supposed to last past nine episodes. Here’s ten more things you probably didn’t know about The Dukes of Hazzard. The first time John Schneider and Tom Wopat met was in a restroom during auditions for the show. If Uncle Jessie looks familiar, that’s because Denver Pyle played reoccurring roles as Brisco Darling, Jr. in The Andy Griffith Show and Mad Jack in The Life and Times of Grizzly Adams. Ben Jones (Cooter) served as a member of the U.S. House of Representatives from Georgia’s 4th District from January 1989 to January 1993. Approximately 325 1969 Dodge Chargers were destroyed while filming the show. That’s an average of two General Lees per episode. Denver Pyle (Uncle Jessie) and Sorrell Booke (Boss Hogg) are the only two characters that appeared in every episode of the show. Jerry Rushing, a true-life ex-moonshiner from North Carolina, was cast as Ace Parker, a shady car dealer in the episode “Repo Men”. Lee 1, the very first General Lee, was found in an Atlanta, Georgia junkyard 23 years after the show ended. It was then restored and sold at the Barrett-Jackson Scottsdale 2012 auction for $121,000. James Best (Rosco) taught drama for two years at the University of Mississippi before joining the cast of the show. The General Lee appears in every episode but one. “Mary Kaye’s Baby” is the only time the General Lee is MIA from the show. Luke Duke’s first hood slide across the General Lee was an accident. He was supposed to jump over the hood but his leg caught the front fender. He also injured his hand when it made contact with the General Lee’s radio antenna. 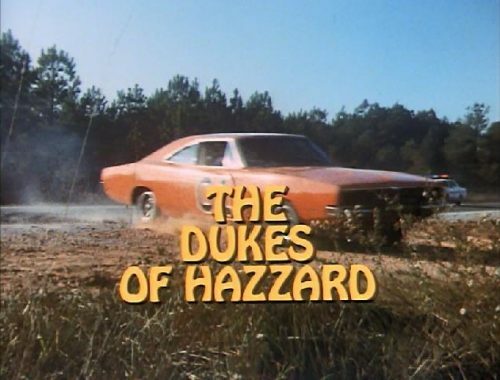 The Dukes of Hazzard was not only popular in the U.S., but countries such as the United Kingdom, Brazil, and the Netherlands also broadcast the show. Seems there’s good ol’ boys on the other side of the pond as well. No doubt about it, The Dukes of Hazzard appealed to a wide range of folks all over the world. YEEEHAWWW!